It’s already mid November (it’s seriously crazy how time flies), I can’t help but think about the holidays right around the corner. 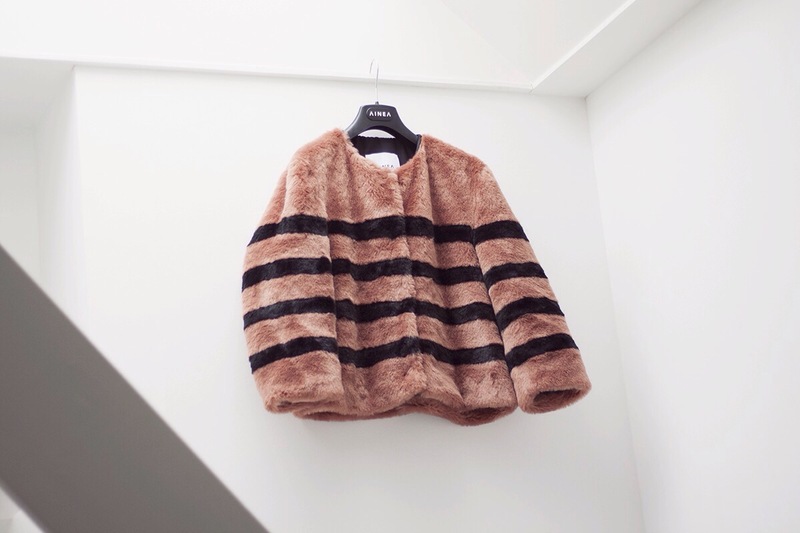 Everything faux-fur is my absolute obsession this season, especially faux-fur in bold colors like this pink black striped mid length coat by Ainea. 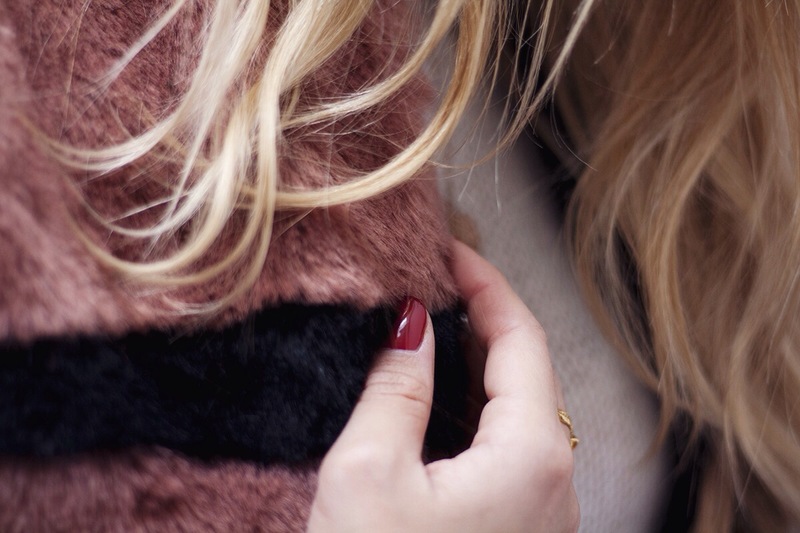 It is such a statement piece, It’s chic, it’s warm, and it’s cruelty free! #winning! I love the mid length sleeves, this season you see it more and more! It’s not always that practical in terms of keeping you warm. But I love that you can show off little details of your jumper or jewelry pieces. The great thing about faux fur coats is that anyone can pull it off. And they tend to look good thrown over everything, whether dressed up with a pretty dress or skirt and some high heels or opt for a more sophisticate version combining it with a boyfriend jeans and a cosy jumper. Posted in Fashion, JewelryTagged Ainea, Carie Elizabeth jewellery, Fashion blogger, Faux fur, obsessionBookmark the permalink. Your whole outfit is so gorgeous but I gotta say my favorite parts the jacket it’s so stunning!